The company had kicked off its 2018 season on International Tabletop Day, and had begun a national roster of events at independent retailers and at company-owned Gameworks restaurants (see “Stakes Are Raised for Unrivaled Tournament Series 2018”). Most employees were laid off late last month, after being told that ExWorks Capital had taken control of Oomba’s assets and the company no longer had funds to continue. ExWorks was brought in as a financing source in conjunction with the acquisition of the Gameworks chain about a year ago, after an announced deal with Barington/Hilco Acquisition Corp. (see “Oomba Acquires Chain”) did not close. The company did not plan to make money on the Unrivaled event series this year, but believed it had sufficient capital to continue in growth mode. CEO Michael Williams explained the company’s strategy in an interview conducted on May 15, just a little over a week before employee layoffs were begun. “The question has come up, and I think a lot of people in the tabletop community, their biggest question is, what the hell are they doing this for? How do they make money? What are they after?” Williams began. “First off, we don't make money," he continued. "Last year, we lost about $4 million. This year, we expect to lose about $2 million. Next year, we hope to break even…. It's simple math. If you talk about 3,200 players and their entry fees are, think, 10 bucks each, that's $32,000. That doesn't pay for one shoot. Two hundred stores that have bought these kits. The kits are going for, I think, $300 each. That's $60,000. Again, that barely pays for one shoot. “Our play is much bigger than that. Among other things, we've creating some software, the Oomba software that actually helps organize tournaments and stuff like that. We hope that somewhere along the line, the software's good enough and popular enough that that takes off. Honestly, we're still working on it. We don't yet think our software's quite ready for prime time but each year it gets better and better and better. “Then the other thing is, if we do eventually make money on this, it's going to be done through sponsorships. It's going to be big, fat sponsors coming in here who want to invest in the board game space, because there are a lot of high quality demographics here. The people who play board games tend to be above average intelligence. They tend to be family oriented. Maybe they skew a little bit older than the millennial crowd and so forth and so on. There's some really good demographics here. "...[T]he publishers participate by giving us the games for free, so we do get the games for free from the publishers and they do help promote the event but we're not charging the publishers to do this. This really is about community building." The “shoots” Williams refers to above are for streaming t-sports video, another potential source of revenue for the company. There was a lot of faith in the concept at Unrivaled, and a cadre of employees that had worked hard to make the events successful. There seem to be efforts from multiple directions to make things right for those involved. In addition to the company’s announcement that it will be working to make all participants whole, Ian Richards, former Senior Vice President at Unrivaled, said that former employees were also trying to find a way to help. "I've spoken to that [road] team and other staff members," Richards said in an email. “We all want to do something, anything, to help fulfill some of what we started. The idea is sound. We all believe in it otherwise we wouldn't of stayed on the project. It's unique in the space and we're talking to anyone that might be able to help... This includes getting materials to stores and helping with events at Origins and Gen Con. I can’t promise anything but the staff are trying to make something happen. We all poured our heart and souls into this and we're devastated to be in this position." 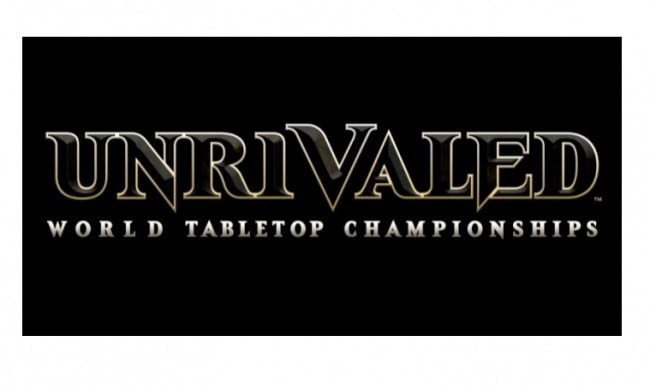 Unrivaled was simply born from our love of tabletop gaming and the vision of bringing together players and events on a local and national footprint. We debuted Unrivaled World Tabletop Championships in 2017 and spent over $4 million to launch and run the tournament all the way through the Finale in Las Vegas. Our plans for 2018 included more games, a larger prize pool and an extensive level of support to bring local retailers and venues into the action. Recent unexpected changes have occurred with the financial status of our parent company, Oomba, Inc. Given these changes we are no longer confident that we will be able to fulfill a quality product for this year’s Unrivaled tournament. We believe it is in everyone’s best interest that we cancel the event this year and do everything in our power to make all partners and participants whole. This orderly wind-up will be taking place immediately. It is with our deepest regret to announce this change in plans. Please feel free to direct any inquiries to info@unrivaled.com.